- The number of people who filed new applications for unemployment assistance in the U.S. last week fell by more than expected, indicating that conditions in the labor market remain aren't weakening markedly despite a sharp drop in new jobs in February. 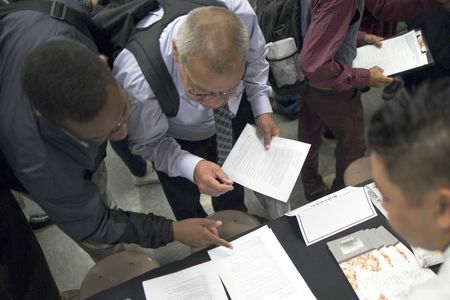 The U.S. Department of Labor said Thursday that initial jobless claims in the week ended March 16 decreased by 9,000 to a seasonally-adjusted 221,000. Analysts expected jobless claims to decline to 226,000. Claims for the prior week were revised up to 230,000. The four-week moving average was 225,000, a rise of 1,000 from the previous week. The monthly average is seen as a more accurate gauge of labor trends because it reduces volatility in the week-to-week data. The report said continuing jobless claims for the week ended March 9 fell to 1.750 million from 1.777 million in the preceding week. These claims reflect people who recently lost their jobs and are already receiving benefits and are reported with a one-week lag.